A very spacious, three bedroom Condominium with over 1500 Square Feet of sunny living space situated on the new Terrace Ridge community. completed in October 2005. Exquisitely furnished throughout. 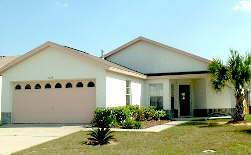 Findvacationrentals.com offers travelers the ability to search for Davenport Florida and book directly with the owner or manager. Use FindVacationRentals.com to book your next Davenport today! Interested in More Davenport, Florida? Check out nearby Celebration , Clermont , Disney , Haines City, Kissimmee, Orlando, Winter Haven.